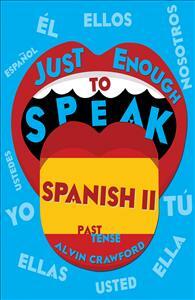 Just Enough to Speak Spanish one, two and three were written to meet the needs of students at the junior college. written to meet the needs of students at the junior college. presents a slow and thorough coverage of the past tense. that show the difference between the preterit and imperfect tense. the past tense in Spanish.